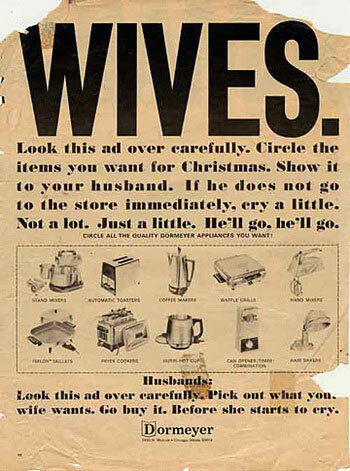 Wives: Look this ad over carefully. Circle the items you want for Christmas. Show it to your husband. If he does not go to the store immediately, cry a little. Not a lot. Just a little. He’ll go, he’ll go. Husbands: Look this ad over carefully. Pick out what your wife wants. Go buy it. Before she starts to cry.